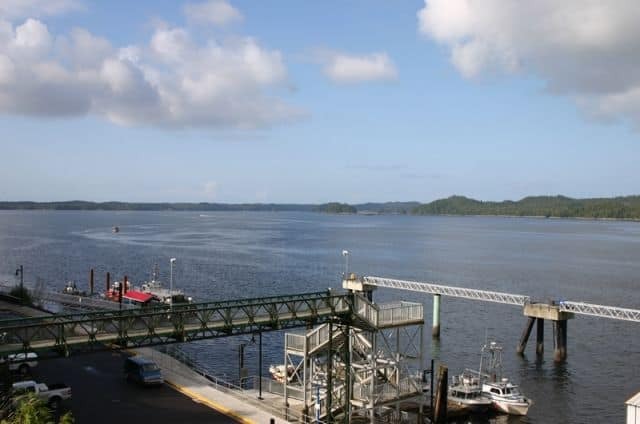 Detailed Description: Pacific Mariners Park in Prince Rupert, British Columbia, Canada is located in the hub of Prince Rupert on a rocky, grassy bluff - the park is lodged in between the shops and restaurants of Cow Bay and the culture and history of the Northern Museum of BC. 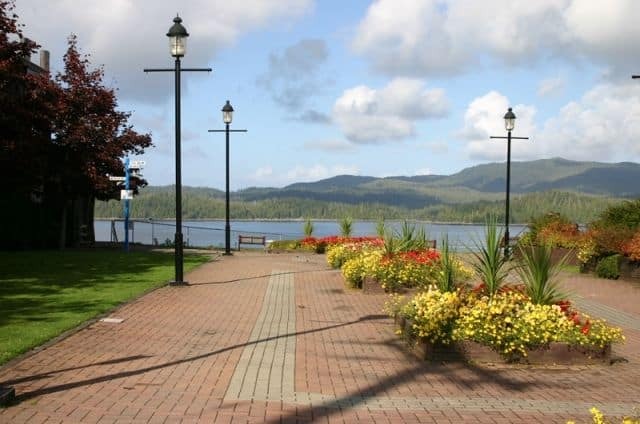 The park setting is well maintained with tiled walking paths leading to spectacular viewpoints with sitting benches looking out over the Prince Rupert Harbour and, to the left, the Rotary Waterfront Park. Nearby is a large grassy area, some Totem Poles for culture and more shops, well ... for more shopping. The Pacific Mariners' Memorial Park pays tribute to the many mariners lost at sea. Onsite is a statue of a mariner peering out to sea with an inscription reading, "We Are Out There" and a memorial wall with bricks inscribed with the names of the many lost mariners at sea. Also found in the Pacific Mariners' Memorial Park, just a short walk from the memorial, is the Shinto Shrine which was built for the Kazu Maru. 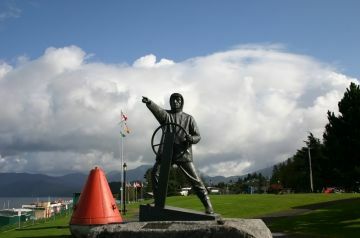 Long ago a Japanese fisherman, from Prince Rupert's sister-city Owase in Japan, disappeared and his dingy drifted across the Pacific Ocean eventually finding a home in Prince Rupert's Pacific Mariners' Memorial Park. How to Get Here: Travel towards the hub of Prince Rupert along Highway 16 (Yellowhead Hwy) towards the waterfront. The hwy turns into McBride St... no worries... continue straight down McBride and take a right on 1st Avenue. Drive a short distance and find a parking spot. Walk to the waterfront.